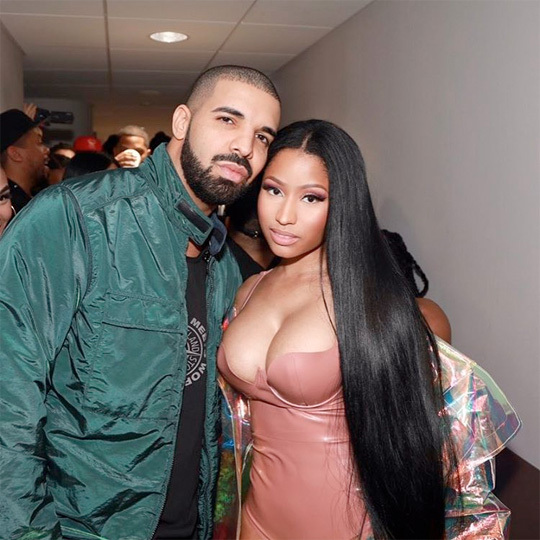 Last night, Drake brought out his Young Money label-mate Nicki Minaj during his “The Boy Meets World” tour stop at the AccorHotels Arena in Paris, France. The Young Money Barbie came out to perform “Truffle Butter“, “Only“, her new single “No Frauds“, and “Moment 4 Life” live. Drizzy even gave Nicki a hug and kiss on stage. You can check out some footage of all of this after the jump below! On May 18th, Nicki Minaj performed live during Adult Swim’s 2016 upfront party, which was invitation-only, at Terminal 5 in New York City. During her set, the YM Barbie performed “Moment 4 Life“, “Dance (A$$) (Remix)“, “Anaconda“, and more songs live. You can check out some footage of Nicki‘s live performance after the jump below! On April 7th, Nicki Minaj and Ariana Grande performed live at the grand opening show for the T-Mobile Arena in Las Vegas, Nevada. The YM Barbie performed “Monster“, “Feeling Myself“, “Only“, “Truffle Butter“, “Moment 4 Life“, “Starships“, “The Night Is Still Young“, “Get On Your Knees“, and “Bang Bang” live with Ariana. You can watch some footage from their live performance at the T-Mobile Arena Opening Celebration Concert after the jump below! On March 22nd, Nicki Minaj brought her “The Pinkprint Tour” to the GrandWest Casino & Entertainment World in Cape Town, South Africa. During the concert, Nicki performed “Bottoms Up“, “Moment 4 Life“, “Dance (A$$) (Remix)“, “Beez In The Trap“, “Starships“, “Super Bass“, “Bed Rock“, “Pills N Potions“, “Save Me“, “Did It On ‘Em“, “Anaconda“, “Only“, “Your Love“, and more songs live. While performing “Bottoms Up“, Minaj also brought a few fans from the crowd up on stage to help her rap the verse. One of these fans performed her verse so well that she ended up walking off stage haha! You can check out some footage of this, as well as the Young Money Barbie‘s live performance in Cape Town after the jump below! On December 19th, Nicki Minaj headlined the 2015 Unitel Christmas Festival at the Estadio dos Coqueiros in Luanda, Angola. During her set, the Young Money Barbie performed “Truffle Butter“, “Moment 4 Life“, “Only“, and more songs live for the fans in attendance. You can watch some footage from Nicki‘s performance at this year’s Unitel Christmas Festival below. 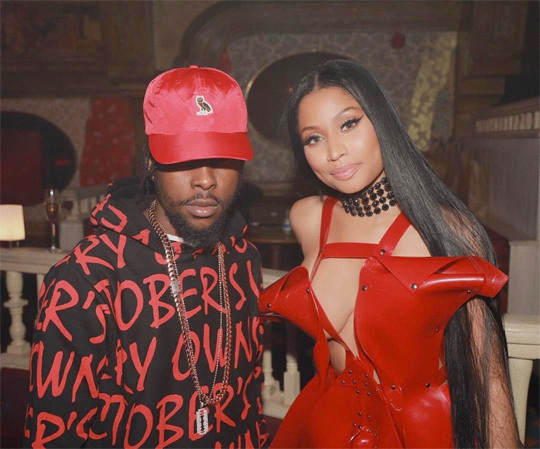 Click here to view some photos of Minaj backstage at the concert and here to see a vlog of her time in Angola! Nicki Minaj headlined Day 2 of Billboard’s 1st annual Hot 100 music festival on August 23rd in Wantagh, New York at Jones Beach Theater’s Nikon. Some of the songs that Nicki performed live included “Only“, “Truffle Butter“, “Moment 4 Life“, “Did It On ‘Em“, “Anaconda“, “Hey Mama“, and “Pound The Alarm“. You can watch videos of the Young Money Barbie‘s live performance after the jump below!